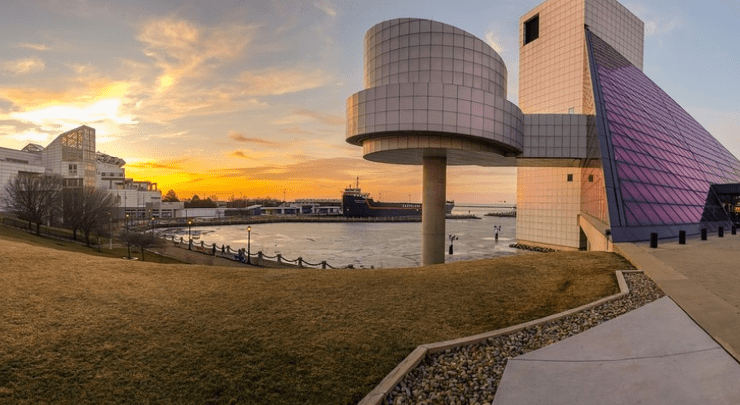 Ohio is a gateway connecting the Northeast and Midwest and is within a one-day drive of 70% of North America’s manufacturing capacity. In addition to hosting a wealth of industries, Ohio also has an excellent choice of top financial advisors. Whether you live in Columbus or Cleveland, putting your hard-earned money to work for you is much easier with the help of one of Ohio’s experienced wealth management firms. 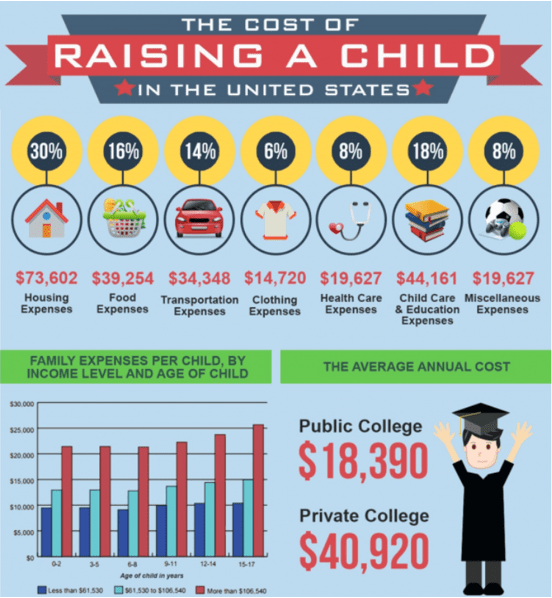 A good wealth manager can help you with saving for a comfortable retirement, planning for a child’s college education, and protecting and growing wealth through family generations. But, knowing which financial advisor in Ohio to trust with your financial future can be a daunting task. There is a lot of industry jargon to learn and with so many financial planning firms out there, how do you narrow down your choices? 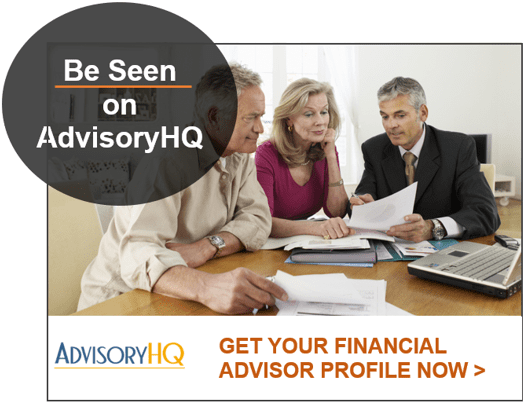 AdvisoryHQ helps by researching hundreds of firms and narrowing down the options for you. 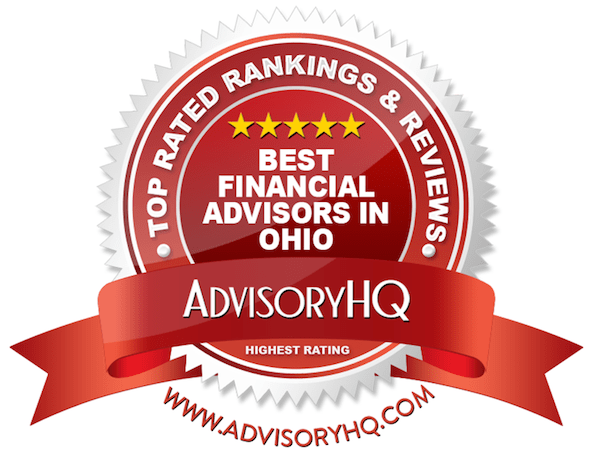 We’ve ranked 12 top-rated financial advisors in Ohio based upon their fee structures, services offered, and reputation for excellence. This list should provide you with an excellent jumping-off point in your search for the perfect Ohio wealth management firm to work with in 2019 and beyond. When you’re evaluating financial planning firms in Ohio, there are typically two types of fee structures they work under: fee-only or fee-based. Either of the two types of firms can also be a fiduciary. How do you know which type of Ohio wealth management firm is right for you? We’ll give you a primer below on these industry terms to get you up to speed so you’ll know what to look for when choosing a financial advisor in Ohio to trust with your money. When an investment firm or a financial advisor in Ohio says that they are “fee-only,” this means that are paid by client fees only and do not accept any commissions or third-party referral payments. This type of fee structure minimizes the inherent conflicts of interest that come along with recommending investment products for a commission. This means a fee-only financial advisor in Ohio is in a better position to act solely in the interest of their clients. When an Ohio financial advisor or investment firm is “fee-based,” it means that in addition to direct compensation from client fees, they are free to accept commissions from the companies who provide their financial products. Because a fee-based structure can create some potential conflicts of interest, many fee-based firms are also fiduciaries, which often counteracts the potential for conflict. Ohio wealth management firms that adopt a fiduciary commitment are legally responsible to fully disclose any conflicts of interest, be transparent about all compensation, and are required to put the interests of their clients ahead of their own. Below, please find the detailed review of each firm on our list of 2019 best financial planners in Ohio. We have highlighted some of the factors that allowed these Ohio wealth management firms to score so highly in our selection ranking. Based in Columbus, Ohio, Budros, Ruhlin & Roe is a fee-only, independent wealth management firm that takes a unique and proactive approach to financial planning. 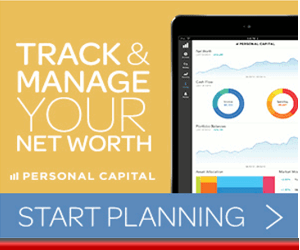 They focus on assisting high-net-worth clients with customized financial strategies. This Ohio wealth management firm was founded in 1979 and has grown over the years by making client satisfaction and building long-term relationships top priorities. Divorce can bring a lot of uncertainty when it comes to finances and Budros, Ruhlin & Roe provides a specialty financial advisory service that is especially for those going through the divorce. This Columbus, OH financial advisor has a Senior Wealth Manager on staff that is a Certified Divorce Financial Analyst® and Certified Financial Planner™ to provide expert assistance during this financial transition. Ultimately, the goal is to help each client transition to life after divorce with a plan for financial success. Those looking for a trusted financial partner in Ohio for the long-term will enjoy BRR’s expert wealth management and financial planning strategies that are flexible and geared for long-term success. The firm’s fee-only structure and fiduciary commitment promote transparency and trust and their wide array of comprehensive services ensure every facet of financial life is well cared for. These factors helped to earn Budros, Ruhlin & Roe a 5-star rating as one of the best financial advisors in Ohio that you may want to consider partnering with this year. Founded in 1974, Carnegie Investment Counsel provides wealth management services and serves as a fiduciary for individuals and businesses throughout the U.S. They have four offices in Ohio, two in Pennsylvania, and one each in Florida, California, and New York. They are an exclusively fee-only financial advisory firm in Ohio and are committed to operating under a fiduciary standard, maintaining transparency and acting in the best interests of their clients at all times. Carnegie Investment Counsel is a Cincinnati, Dayton, Toledo, and Cleveland wealth management firm that provides highly customized portfolio management services for its clients. 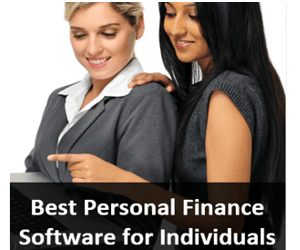 They do this by emphasizing the human element of financial planning, taking the time to listen to and really get to know their clients to meet emotion-based needs with expert advice. Managing retirement benefits for employees can be a complicated and time-consuming process. And employers that aren’t up to date with recent Department of Labor (DOL) legislation can have personal liabilities that they aren’t prepared for. Carnegie Investment Counsel is a wealth management firm in Ohio that helps employers navigate the terrain of employee benefits plans. They provide tailored 401(k) plans for businesses, serving as a fiduciary and ensuring that each retirement plan is DOL-compliant. Employers won’t have to worry about being left with a plan to administer themselves, as this Ohio wealth management firm is there every step of the way working with you diligently towards crafting a plan that leaves everyone involved happy. For clients looking for the utmost level of trust and client commitment from their financial advisor in Ohio, Carnegie Investment Counsel represents the ideal relationship due to their exclusively fee-only structure and fiduciary obligation. The firm’s in-depth, comprehensive services to help both individuals and businesses meet a variety of financial needs and goals help solidify the Carnegie Investment Counsel’s 5-star ranking among the top Ohio financial advisors you’ll want to consider in 2019. Cornerstone Capital Advisors is committed to providing clients security and peace of mind. This Ohio financial advisor was founded in 1984 and they’re located south of Akron, in Uniontown, Ohio. The firm has a fee-only structure and they are a fiduciary, with a passion and commitment to act in their clients’ best interests. This wealth management firm in Ohio serves individuals and families, high-income professionals and entrepreneurs, and retirement plans. Financial planning is about making your money align with your goals so that you can successfully achieve them. A holistic approach ensures that all facets of your finances are working together to give you the best results. Cornerstone Capital Advisors values an integrated strategy to financial planning, ensuring that all areas of your finances fit together and work in harmony with each other. Employers providing retirement plans have an extra level of responsibility when administering investment plans for their employees, which adds another level of stress and complexity to their position. This Ohio wealth management firm offers fiduciary assessments, reviewing employer-sponsored retirement plans to ensure that they are compliant with the federal ERISA statute. Their holistic approach to wealth management ensures that clients of Cornerstone Capital Advisors enjoy personalized and seamless financial planning and investment strategies. A specialty service of this Ohio financial advisor, providing fiduciary assessments, makes them a great resource for businesses wanting to ensure their retirement plans are both comprehensive and compliant. 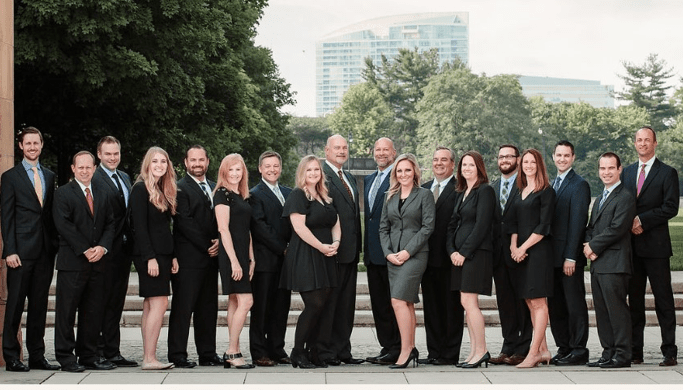 With a dedication to client success, a fee-only structure, and a fiduciary commitment, Cornerstone Capital Advisors solidifies their 5-star rating as one of the best financial advisors in Ohio to consider partnering with this year. Fairport Asset Management has been serving clients for over half a century, being founded in 1963. Their mission includes providing the high-net-worth community with a wide array of customized investment management and wealth management services. This Cleveland, Ohio financial advisory firm is fee-only and a fiduciary. Their expertise lies in assisting executives, business owners, women in transition, and other affluent individuals with reaching their goals in life through a unique set of wealth management strategies. Fairport knows that when it comes to money management, its clients expect the best. They stand out from other financial advisors in Cleveland, Ohio with their listing of core values: Respect, Discipline, Resolve, and Accountability. With these values as a foundation, Fairport encourages a collaborative relationship with its clients that prioritizes listening to their ideas. They promise discipline in making the best investment choices for their clients to continue fostering ongoing trust. They are resolved when it comes to pursuing the best outcomes for clients. Finally, and perhaps most importantly of all, they promise accountability and to continually measure and improve overall outcomes as one of the best financial advisory firms in Ohio. You know you’re in good hands with Fairport because their team has over 100 years of combined experience and expertise. The firm also boasts an internal investment committee dedicated to developing strategies that consider growth, income, and risk management, providing unique financial services to each and every client. For affluent clients looking for a financial advisor in Cleveland that operates from a solid foundation of values, ethics, and experience, Fairport Asset Management is an excellent fit. Their fee-only fiduciary structure promotes both trust and transparency. With a wide array of services, expertise in serving the high-net-worth community, and an internal investment committee, Fairport Asset Management scores a 5-star rating and is one of the best Cleveland financial advisors—and a top Ohio financial advisor—to consider partnering with this year. The seasoned team of trailblazers at, Foster & Motley are based in Cincinnati, Ohio and provide financial planning and wealth management services to clients in the Tri-State region and across the country. 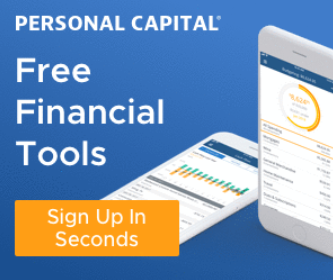 This Ohio financial advisory firm is fee-only and they offer three customized tiers of financial advisory services which include clients with investments below $1,000,000, those investing $1,000,000 to $5,000,000, and investors starting at $5,000,000 and up. When you work with this Cincinnati wealth management firm, you’ll never be lacking for any type of financial care. They offer an extensive array of services geared toward offering clients a fully integrated approach to financial and investment planning. The financial industry is always evolving and this wealth management firm in Ohio ensures their staff stay up to date on all the latest rules, regulations, and trends so you can benefit from their experience and knowledge. They also support a culture of continuing education and foster employee growth, which in turn keeps their team fresh and dynamic and able to provide innovative financial solutions. As a fee-only RIA, Foster & Motley makes a fiduciary commitment to foster transparency and to always put their client’s best interest at the forefront of everything they do. This supports trust between clients and advisors, an integral element in any successful financial plan. With an extensive range of comprehensive financial services, a well-seasoned and educated team, and a client-centric approach, Foster & Motley solidifies their 5-star rating as one of the best Ohio financial advisors to consider partnering with in 2019. Founded on fiduciary values, Johnson Investment Counsel is one of the largest independent wealth management firms in the country. This Ohio financial advisor is 100% employee-owned and has been serving clients since 1965. As a top-rated financial advisor in Ohio, Johnson Investment Counsel assists ultra-high-net-worth families with customized and personalized financial services. Their Family Office Services include a sophisticated investment approach to help families navigate the most complex of situations. Families can trust that Johnson Investment Counsel will integrate all aspects of estate planning and will work alongside their attorney to protect their legacy for generations to come. These expert Columbus, Ohio financial advisors offer specialized trust services for individuals, charitable organizations, foundations, endowments, and retirement plans. Their goal is to align your estate plan and your future so you can meet and exceed your goals. 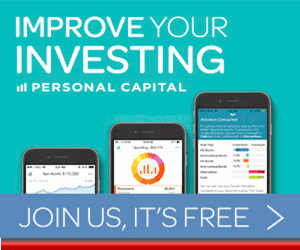 For those in the high and ultra-high net worth group, Johnson Investment Council offers the expertise and services customized to meet their unique financial needs. Their advisors consider themselves true partners to the clients they serve and foster long-term collaboration. With a fee-only structure, clients can feel secure that all services and fees will be provided with the utmost transparency, supporting trust and solidifying the firm’s ranking as a top Ohio financial advisor with a 5-star rating. Partnership Financial LLC works to create a coordinated, tailored financial plan for their clients that addresses all their financial needs and that is clear and concise. This top financial advisor is based in Columbus, Ohio and they are a fee-only fiduciary that puts their client’s interests above all else. Their ultimate goal is to be your “go to” team for any money matters that impact your life. The team at Partnership Financial knows that financial planning can be complicated, so they strive to streamline and simplify the process with an organized and comprehensive approach. When it comes to choosing a financial planner in Columbus, Ohio, it’s important to know that you are partnering with a financial advisor that you can trust—after all, it’s more than your money on the line, it’s your future. As a fee-only firm, Partnership Financial does not accept outside commissions or any compensation other than what they receive from clients. This means that these Ohio financial advisors are free to choose the best financial assets for your portfolio without any conflicts of interest. The combination of a fee-only structure and a fiduciary commitment supports trust throughout each step of the wealth management process, solidifying the high standards of client service and ethics that Partnership Financial maintains. For clients that want a comprehensive approach to their financial health, Partnership Financial is a great fit. The firm’s small size and client-centric approach support trustworthy, long-term relationships, ensuring that clients can utilize these financial services over time. With a fee-only structure, a fiduciary commitment, and financial services tailored to address a variety of needs, Partnership Financial is one of the best financial advisors in Columbus, Ohio—and across the state—to consider partnering with this year. PDS is a fee-only firm and also a fiduciary and takes pride in forming long-term relationships with their clients that span 24 states. 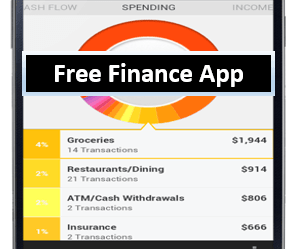 Their mission is centered around helping people eliminate the stress that typically comes with planning personal finances. 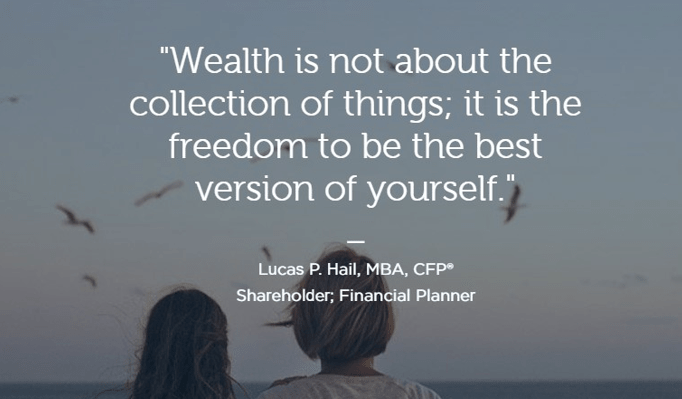 Something that helps PDS Planning stand out from other top financial advisors in Ohio is their ability to make wealth management accessible and, most importantly, easy to understand. For those that are just beginning to gain control over their finances, this is a huge benefit, as it gives everyone, no matter their wealth level, the same chance to work with a seasoned professional team of Ohio financial advisors to grow their money. 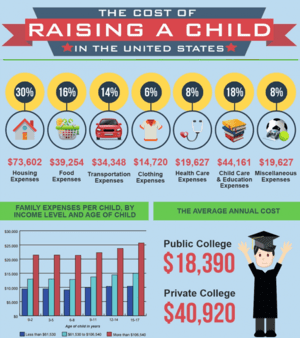 With a mission of making financial planning, simple to understand, accessible and convenient, PDS Planning is an excellent financial advisor in Columbus, Ohio to consider partnering with. The client-facing approach that is designed to reduce stress and help people make more informed financial decisions sets them apart and earns PDS Planning a 5-star rating as one of the top financial advisors in Ohio to consider working with this year. Founded in 1995, Summit Financial Strategies is an Ohio financial advisor that believes in cultivating strong relationships and developing custom financial plans that are tuned to the needs, goals, and dreams of their clients. This top-rated Columbus, Ohio wealth management firm takes on a fiduciary commitment to their clients and is fee-only. They believe in the power of collaboration and forming lifetime relationships with their clients. Everything that Summit does revolves around you. This financial advisory firm in Ohio ensures that their wealth management services evolve to your changing needs. They continue to adjust strategies as needed to help clients achieve success. Summit Financial Strategies is a wealth management firm in Ohio offers a disciplined, strategy and customizable investment mix. During their first meeting with a client, your Ohio financial advisor collects necessary data and discusses portfolio development. This conversation also touches on the importance of comfort levels and risk tolerance. Once a general outline for the portfolio is set, this team of financial planners in Ohio implement the plan and monitor it continually to keep things on track. Whether you’re a seasoned investor or just starting to get a handle managing your money, Summit Financial Strategies is a great financial planner in Columbus, Ohio to consider. The firm offers enhanced financial management strategies, a large team, and a low ratio of clients to advisors, ensuring that each client gets the dedicated, one-on-one attention they need. With a goal on maintaining positive, long-lasting relationships and a completely collaborative approach, Summit Financial Strategies scores a 5-star rating and is one of the best financial advisors in Ohio to consider partnering with this year. The Joseph Group was founded in 1999 with a mission of helping people live great lives and achieve their dreams through inspiring financial management. 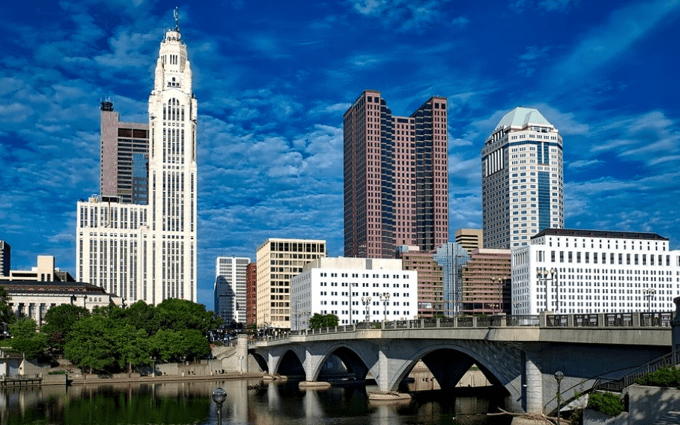 This Ohio wealth management firm is based in Columbus, OH. The firm takes on a fiduciary obligation to put their client’s best interest ahead of their own and operates with a fee-only structure. They strive to help their clients live great lives, one story at a time. This Columbus, Ohio wealth management firm starts by matching the right portions of your wealth to the key strategy that will be the most productive. They use four investment strategies in their process, which allows them to customize the best investment assets for each client. The Joseph Group refers to their personalized investment process as the Wealth Allocation Framework, it provides an organized approach to match each client with one of their core portfolios. 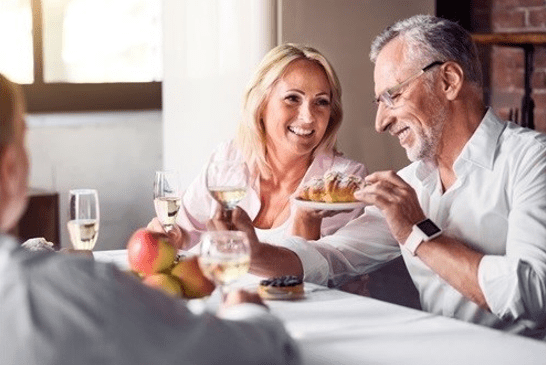 The Ohio financial advisors at The Joseph Group believe that administering great retirement plans means partnering with both their employer clients and their employees. Their experienced team of financial professionals works with retirement plans of all sizes to make them effective and compliant. This financial advisory firm in Ohio typically works with locally owned companies that have between 10 and 100 employees and a retirement plan that has at least $1 million. If you enjoy a well-structured and thoughtful approach to wealth management and financial planning, then The Joseph Group Capital Management will fit your style like a glove. The firm’s client-centered approach revolves completely around each client’s needs, goals, and financial situation to match them with the most successful financial strategy. With a fee-only client commitment and a philosophy based on a foundation of trust and responsibility to their clients, The Joseph Group Capital Management scores a 5-star rating and is one of the best financial advisors in Ohio to consider partnering with this year. Founded in 1990, Truepoint Wealth Management is one of the region’s first fee-only firms. They are based in Cincinnati, OH and provide financial advisory services to clients across 39 states. In addition to being a fee-only Ohio financial planning firm, they are also a fiduciary and 100% employee-owned. They handle 2.7 billion in assets under management and provide multiple financial services to a wide variety of clients. When you work with a firm that has a large range of financial services, it streamlines your financial management and ensures all the different aspects of your financial life are integrated into a complete plan. For those that are working with a financial planner in Ohio for the first time, it can be difficult to identify what types of services you may need. For each investor type, they provide common wealth management questions and concrete examples of how the Ohio financial advisors at Truepoint Wealth Counsel can help clients overcome specific financial challenges. With a fee-only structure and a fiduciary commitment, Truepoint Wealth Counsel gives clients peace of mind that they will be receiving unbiased and transparent advice throughout their wealth management and financial planning process. Truepoint Wealth Counsel also makes it simple for potential clients to evaluate their services by providing easy-to-understand, detailed descriptions of their services, scoring the firm a 5-star rating and a spot among the best financial advisors in Ohio. Wellspring Financial Advisors believes in doing more than just managing wealth, they engage their clients in a way that positively shapes their lives now and in the future. This Cleveland, Ohio top wealth management firm is fee-only and upholds a fiduciary standard of trust and transparency. They also recognize the importance of human capital and work toward fostering multi-generational relationships. Clients that work with Wellspring Financial Advisors will recognize their unique approach to financial planning. They believe that the foundation of any good financial advisory firm is their people. They look at capital a bit differently than other Ohio wealth management firms, believing there are five distinct types of capital and that a successful financial strategy requires focusing on all of them. Wellspring Financial Advisors provides holistic financial services to high-net-worth individuals and families and they offer a full suite of financial, estate, and tax planning services. This Cleveland wealth management firm’s expertise extends to clients’ financial and non-financial needs, offering families a trusted professional for handling an array of requirements to make their lives easier. With a holistic approach and fee-only structure that ensures unbiased and conflict-free advice, Wellspring Financial Advisors scores a 5-star rating and is one of the top Ohio financial advisors to consider partnering with in 2019. Whether you’re searching for financial advisors in Cleveland, Cincinnati, Columbus, or elsewhere in Ohio, you have multiple options on this list for experienced and personalized financial guidance. Using this list as a starting point, you can further narrow down your options by comparing each Ohio wealth management firm’s areas of expertise, location, specialties, and client types. Once you’ve found some firms that are serious contenders for your business, contact each advisor in turn to set up a consultation. Most financial advisors in Ohio and elsewhere offer a free initial consultation. Meeting in person will allow you to get a better feel for each firm’s advisors and help you choose the perfect financial partner to help you reach your future goals in life.